Hemangiopericytoma constitutes 1-3% of all biopsied lesions of the orbit and 1% of all lacrimal sac tumours. 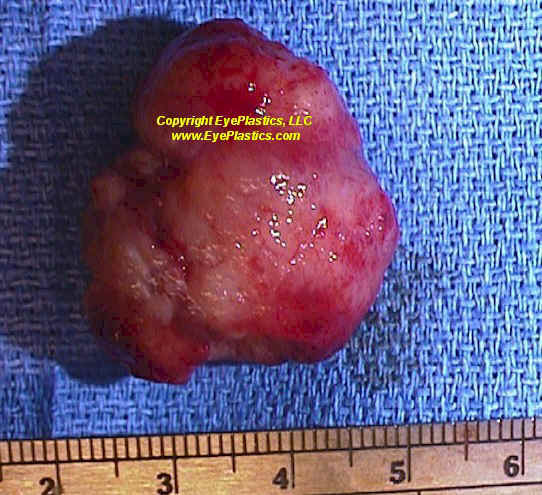 This tumour may possibly be benign or malignant, and starts around 40 years of age with a predilection for men. Orbital hemangiopericytoma commonly involves the superior orbit and are commonly ballottable on palpation. There may possibly be visual loss, proptosis during exophthalmometry and decreased extraocular muscle motility depending on location of the tumour.